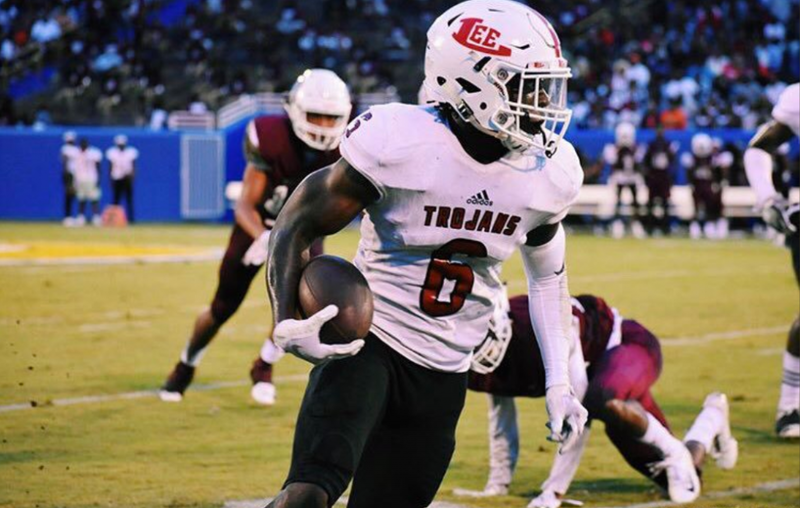 One of the top defensive backs in the state of Georgia in the 2019 class announced his list of finalists and his decision date on Monday, and the Vols made his final cut of teams. Jammie Robinson is a borderline three-star/four-star prospect out of Georgia. On Monday, he named a final four and announced that he’ll be making his college decision on National Signing Day on February 6th. Tennessee made his list of finalists along with Auburn, South Carolina, and Kentucky. Robinson played for Lee County High School in Leesburg, Georgia and played at Crisp County before transferring to Lee County. He’s rated as the No. 379 overall player and No. 30 safety in the 2019 class according to the 247Sports Composite rankings. He’s listed as a cornerback on 247Sports, but he’s rated as a safety, and he can play both positions. The 5-foot-11, 200-pound defensive back just took an official visit to Knoxville this past weekend, and he seemed to really enjoy his trip. It wasn’t the first time Robinson has been to UT, though. Robinson took an unofficial visit to Tennessee’s campus for their game against Florida during this season. He’s already taken an official visit to South Carolina back in June and unofficially visited them when the Gamecocks hosted the Vols on October 27th. He’s also taken official visits to Kentucky and Auburn, the other teams in his list of finalists. As a senior, Robinson totaled 105 tackles, six tackles for loss, two interceptions, and he returned one interception for a touchdown. In three years prior to his senior season, Robinson had totaled 254 tackles, 14 tackles for loss, a sack, eight interceptions, 19 passes defended, two forced fumbles, three fumble recoveries, and he returned two punts and three kick-offs for a touchdown in his four seasons according to MaxPreps. The Vols have two projected safeties signed on in their 2019 class in four-star Jaylen McCollough and three-star athlete Aaron Beasley. Tennessee also has four-star safety Anthony Harris committed to them, but he didn’t sign during the early signing period in December. There’s been talk that grade concerns and interest from North Carolina may keep him out of UT’s 2019 class altogether. Tennessee’s 2019 class is in a bit of a numbers crunch right now, so it remains to be seen if the Vols would have room for Robinson. South Carolina may be the team to beat for him anyway, though. Warlick: "I Think Pat Would be Proud of How We Fought"